Updated Thursday October 6, 2016 by Saskatoon Minor Basketball. 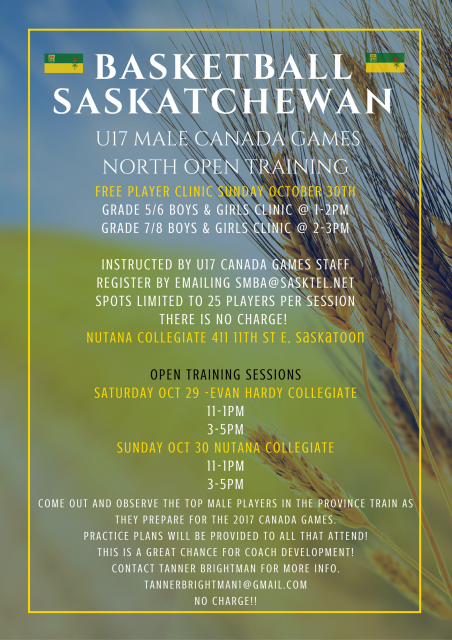 Come out and observe the top male players in the province as they prepare for the 2017 Canada Summer Games. Practice Plans will be supplied for all that attend. This is a great opportunity for Coach Development! Contact Tanner Brightman if you have any questions!